Have you ever wondered what goes into creating a magazine geared towards children? 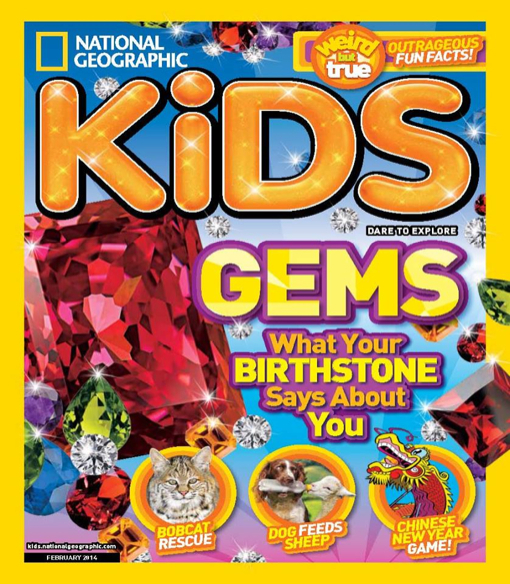 As a National Geographic Kids Insider, I got an exclusive chance to speak to editor of National Geographic Kids and Little Kids Magazine, Rachel Bucholz to learn exactly that. I gained a lot of insight on how much thought goes into each magazine – from picking each issues theme to the cover everything is mapped and planned in extensive detail. What goes into putting together each issue of the magazine? Every day is different! There is lots of different responsibilities, from approving story ideas to planning out content that readers are going to love and learn from. How do you choose the cover of the magazine? We have a secret formula! What works best is a kid-friendly animal shot in which the animal look cute, cuddly and with its mouth open (to look like it’s smiling!). We steer away from using frightening or scary photos of predatory-looking animals. What type of content do readers like best? Animals resonate the most! Readers like to engage with animals and peek into their lives For example, instead of just doing facts about wolves, we’ll do a story about their lives as a pack, or how they communicate with each other – Our readers can relate to families and communication! Readers also love Weird But True facts. What makes your magazines stand out? What advice would you give parents to help them engage their kids with the magazine? There’s so much in the magazine that’s interactive, that parents and kids can do together. For example, there’s a food section (Chew On This) with a recipe parents can do with their kids The Stump Your Parents section is a favorite – it makes kids feel super smart! To learn more about National Geographic Kids visit Celeb Baby Laundry’s previous Insider blog posts. What do your children love about National Geographic magazine? Tell us what covers are their favorite!